It’s easy to think that when you grow up somewhere, that you know it well. Even though I’ve not lived in Wichita for quite some time, I felt like I was familiar with all that it has to offer. Holy moly, was I wrong! 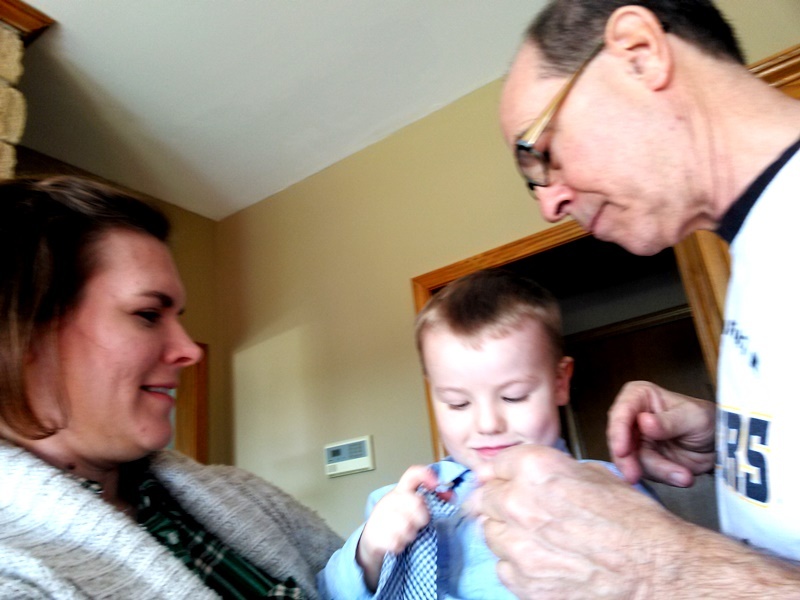 We recently took our first week-long vacation to explore Wichita and spend time with family for Thanksgiving. FTC Disclosure: When we decided to take this trip, I reached out to Visit Wichita (the local convention and visitor’s bureau) to see if we could get a few complimentary tickets to attractions. Thanks to their efforts, we received complimentary tickets to seven different attractions in Wichita! I am so grateful to the attractions and to Jessica at Visit Wichita for helping me share about the countless things available to do in Wichita. 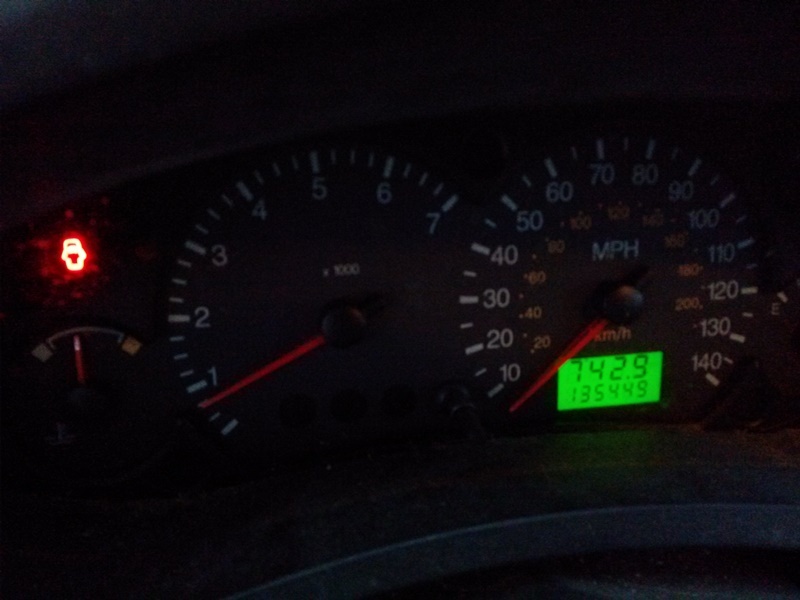 All pictures (except a few from family members), words, and opinions are my own. 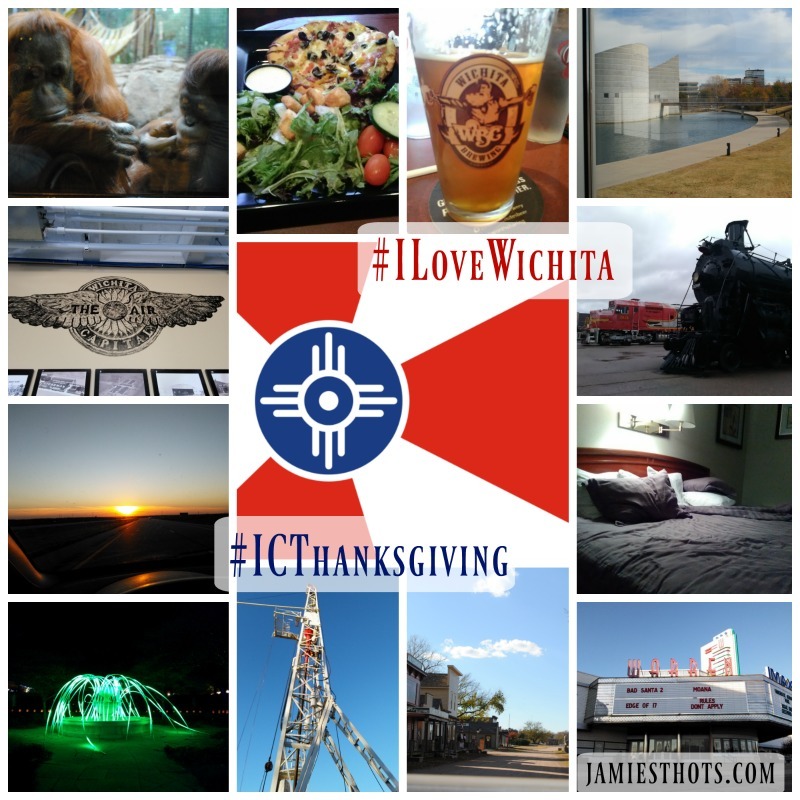 You will find pictures and updates about our trip under the #ICThanksgiving hashtag and all things great about Wichita under the #ILoveWichita hashtag. 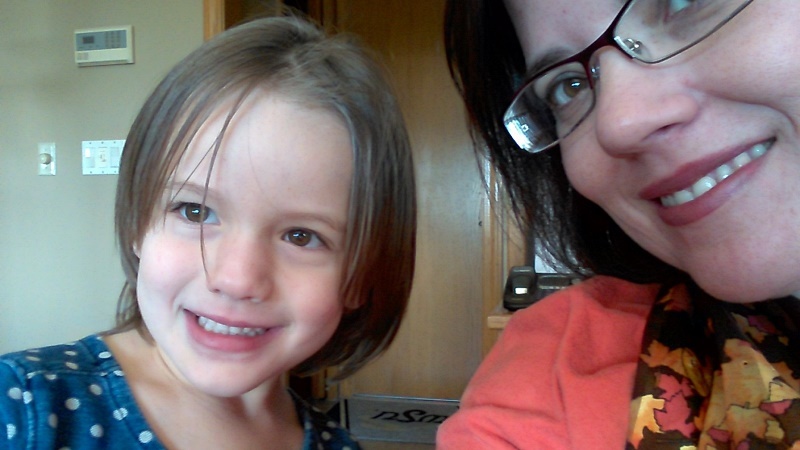 Our trip to Wichita was a whirlwind! We had two family days, one rest day, two travel days, and four “tourist” days. In those four days, we went to seven different attractions. We ate a lot, we learned a lot, and we had a lot of fun. I must say that I took hundreds of photos. There is no way I could use even half of them! I’m going to try and go back to write an individual blog about each of the attractions but wanted to do a summary blog about our trip as soon as I could. I will come back here and link up the new blogs as I go. 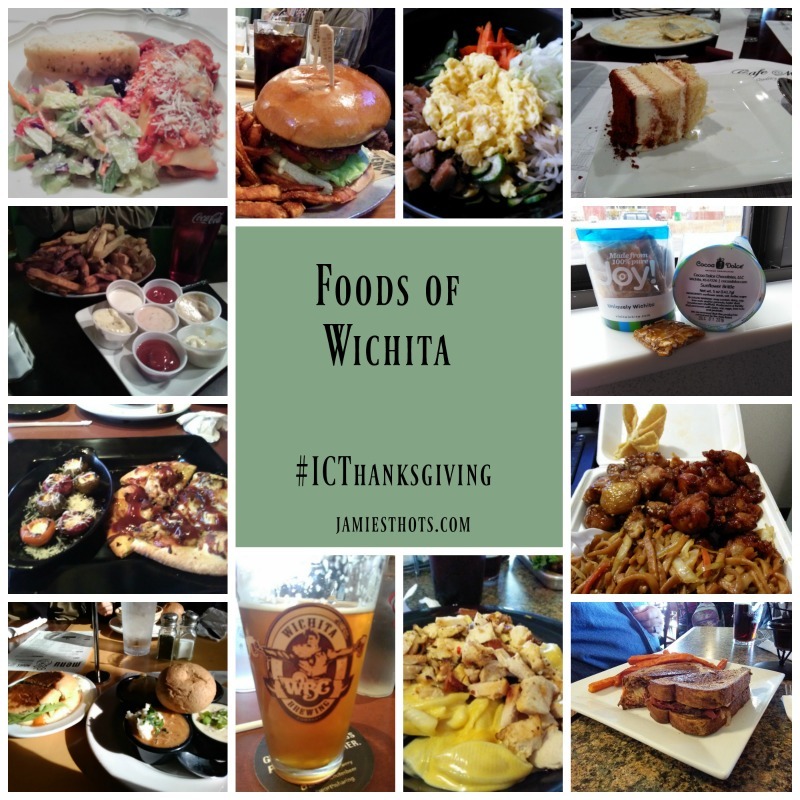 You will find below information about what to do in Wichita, where to eat in Wichita, and some of my favorite memories from our trip! Keep scrolling, I promise it’s worth it! I have many fond childhood memories of school field trips and family times in Wichita but we never seem to have time on our usual quick weekend trips to visit those places. 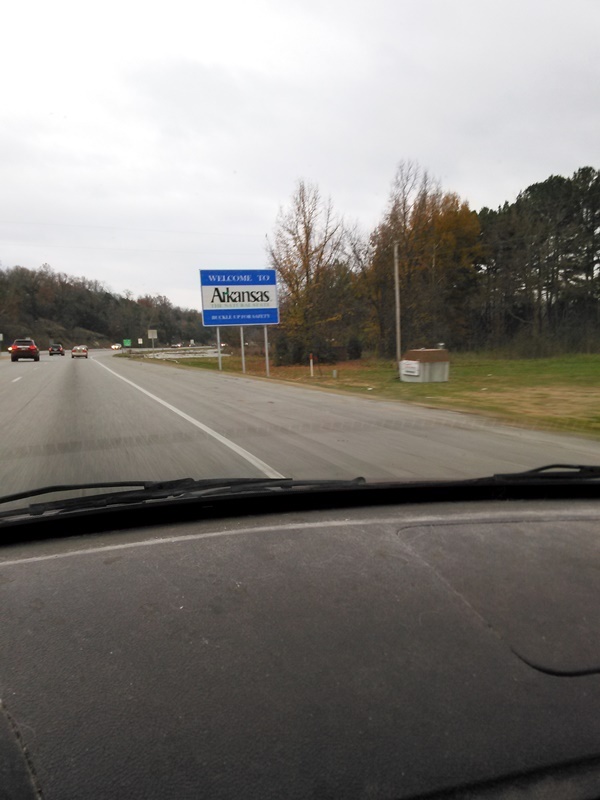 We decided to spend a week at Thanksgiving to explore my hometown and get a little extra family time. I chose some places that I remember from my childhood that I wanted to experience as an adult. Then my husband looked online to see what other options were available that appealed to him. I must admit, of the three that he chose, I had not heard of a single one of them before. That meant that I was really discovering parts of my hometown along with my husband. Each and every place we went to was fun, intensely educational, and had offerings for all ages! I’m going in chronological order from our trip. 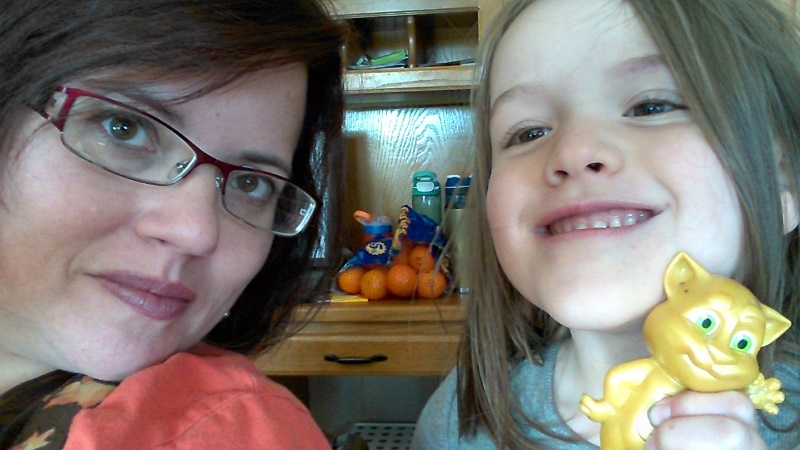 Wichita is a great place for families, homeschool groups, girl’s weekends away … pretty much anyone! Exploration Place is amazing! It was built when I graduated from college so I only really had a chance to go there once before moving away permanently. I love the variety that is available from exhibits about the human body to the Kansas in Miniature exhibit. 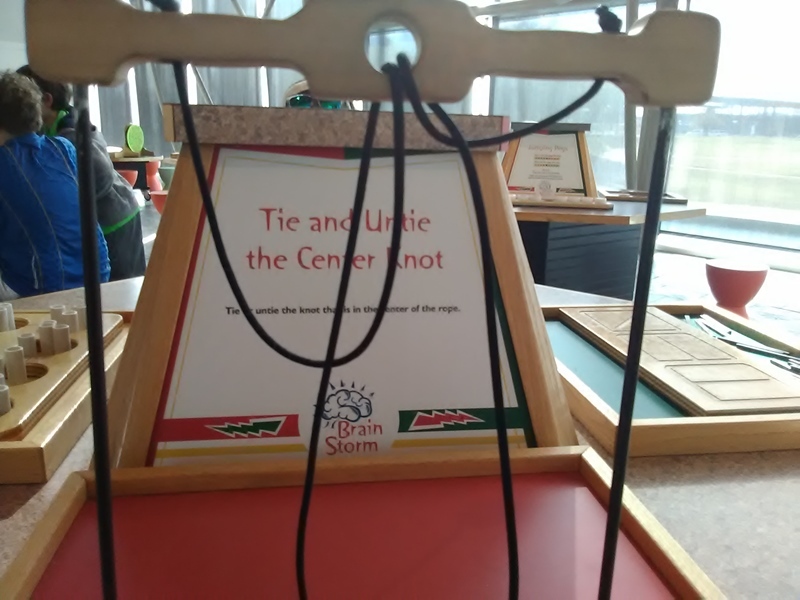 I especially noted two things: how it had something for all ages (including notations for exhibits that are good for toddlers), and how it portrayed disability. There was a whole section with hands-on exhibits that teaches about disability and mobility devices. The portrayal was informative and positive. You can learn about science, history, and culture all in one place. All while exercising your mind and delighting your child side. You could skim the main exhibits (they also have movies and other features) in a couple of hours but I really recommend spending at least half a day there. 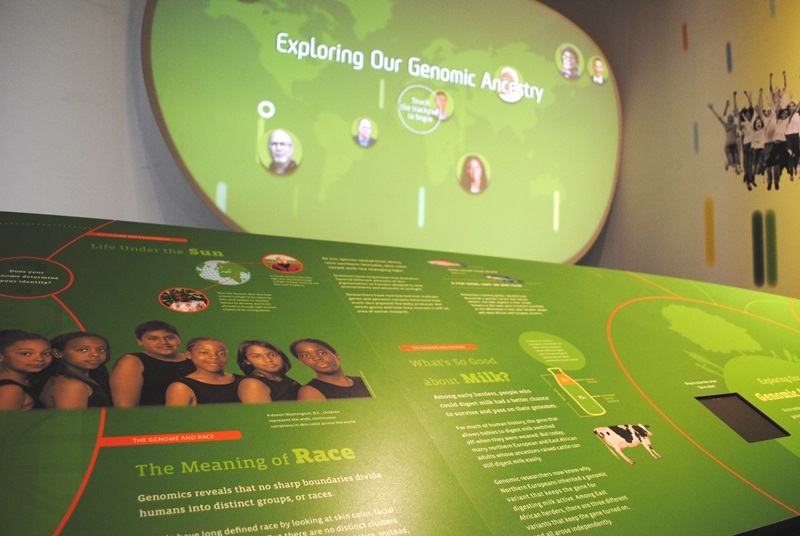 This exhibit talks about genetics and how we are all from the same place, ultimately. This was fascinating for adults but had enough hands-on stuff that I think older elementary age kids could love it too. 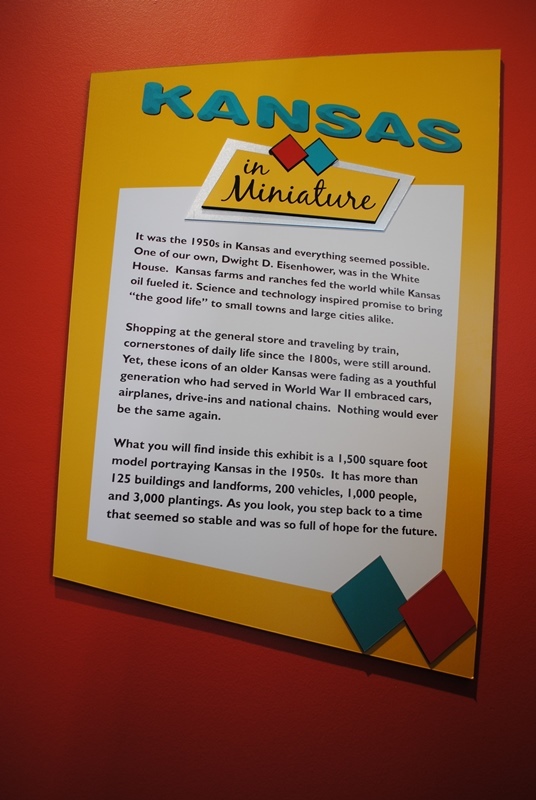 Kansas in Miniature is as cute as it sounds. I took a picture of the sign in part to explain it but also because it was a little dark inside the exhibit. 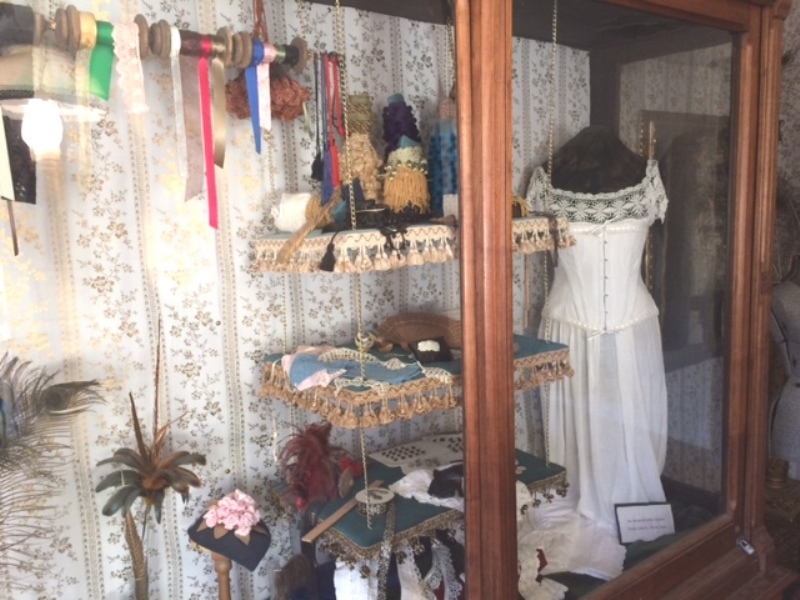 This is a display of various buildings from throughout Kansas that represents its history, industries, and culture. The detail on the tiny models was amazing! This was the first place I stopped. I was CONVINCED that as an adult, I could outsmart the hands-on stuff designed for children. Ahem. Not so much. I never could figure this out. The kids around me were learning all kinds of stuff with their projects, though. Loved this section! 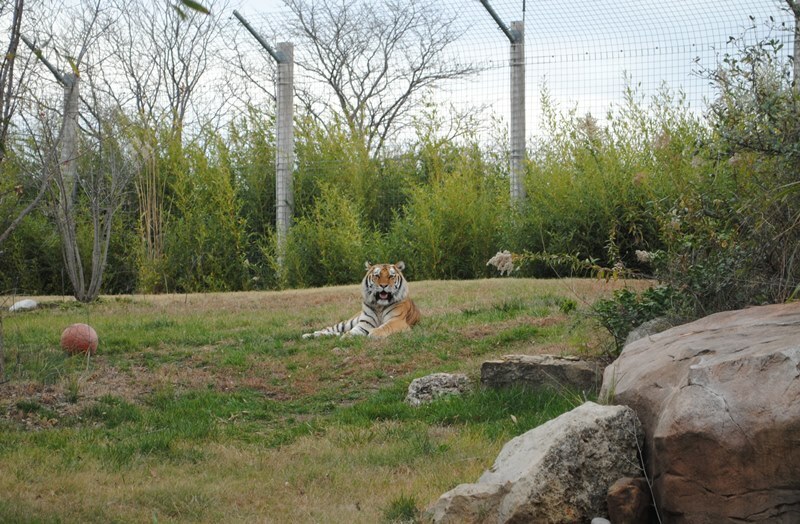 I love the Sedgwick County Zoo. I haven’t been in years and was delighted for the chance to go again. This is another place that we only had a couple of hours to view but I would recommend about half a day. Perhaps consider not going at the end of the day as they have to start putting up some of the animals. Oh, the animals! Such a great assortment. I did miss going to the petting zoo but that’s OK. I got to see the new elephant exhibit and many exhibits that have been greatly renovated since I was there more than a decade ago. 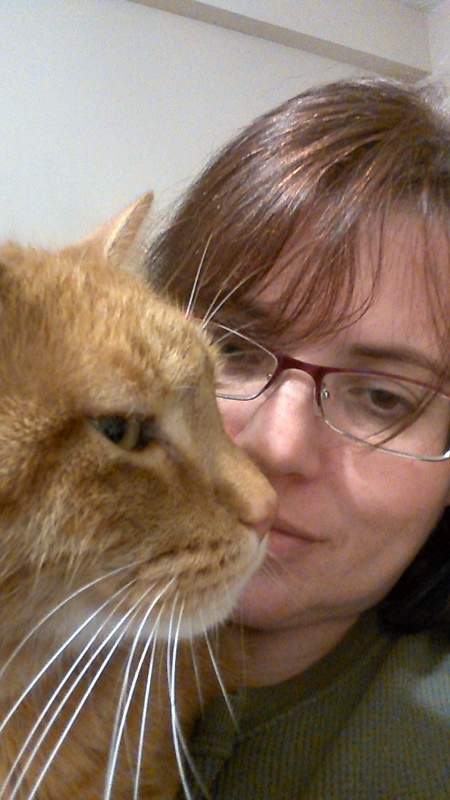 I admit, my favorites are always the big cats and the primates. 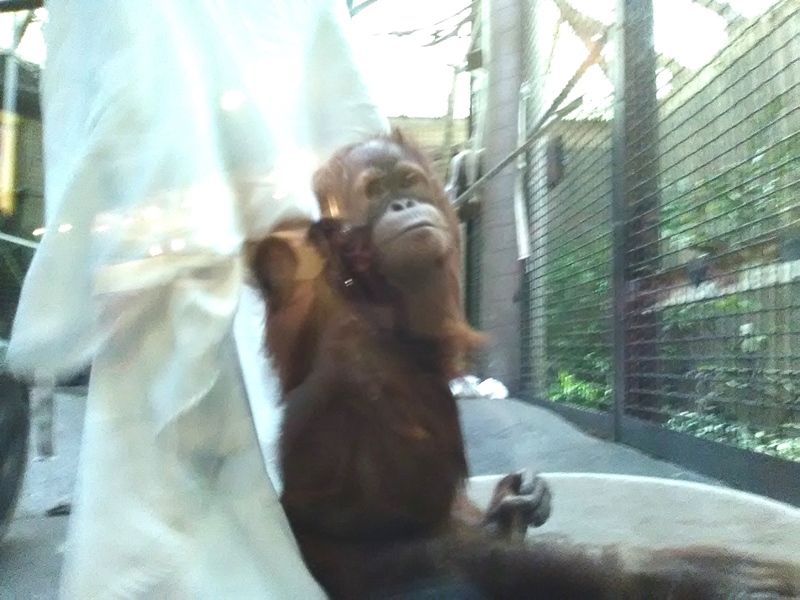 Obviously, these pictures were taken from the other side of protective glass (because you know, wild animals) so there’s a bit of a glare on everything! This little guy loved posing for the crowds. He was quite the ham! 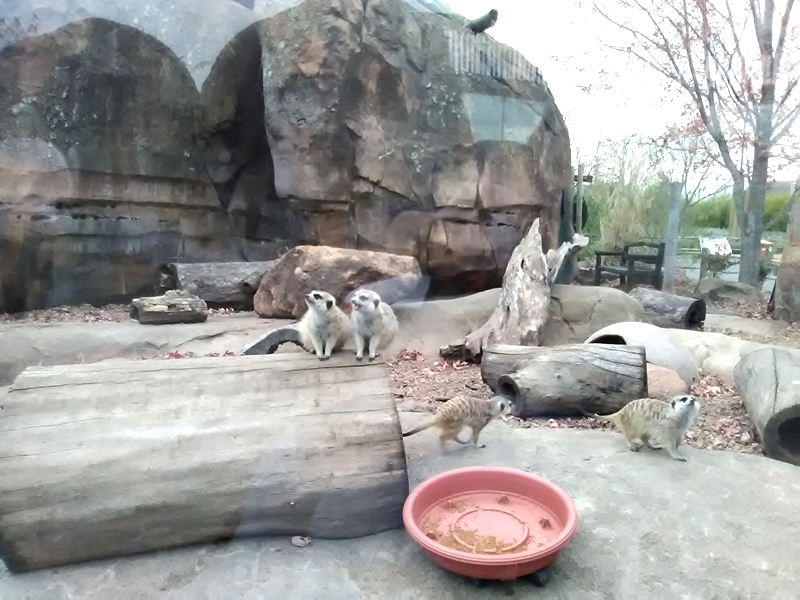 Not sure why I was drawn to the meerkats but they were hilarious to watch! Several climbed on this log to pose. Of course, the tiger. He kept his distance while he was there but this creature was majestic even from a distance. 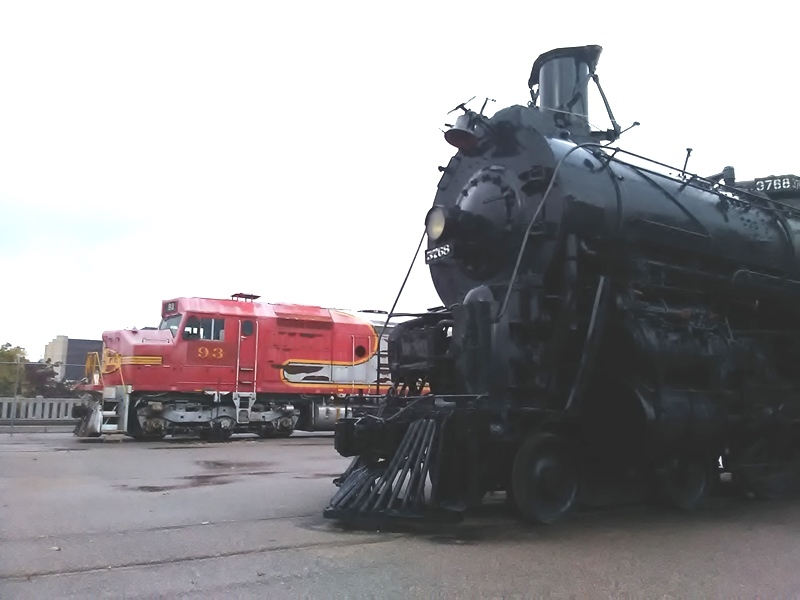 The Great Plains Transportation Museum is a hidden treasure in Wichita. It’s only open on Saturdays but you can schedule tours during the week if someone is available. They are an entirely volunteer organization, which I found both interesting and unique for something this well-done. Also, there’s no elevator to get to the exhibit from the main entrance so if you have someone in a wheelchair, you need to just call ahead and arrange to come in at the top floor. Easy peasy. And you get to go on top of the parking garage, which I thought was fun. I’m easy to amuse, I guess! 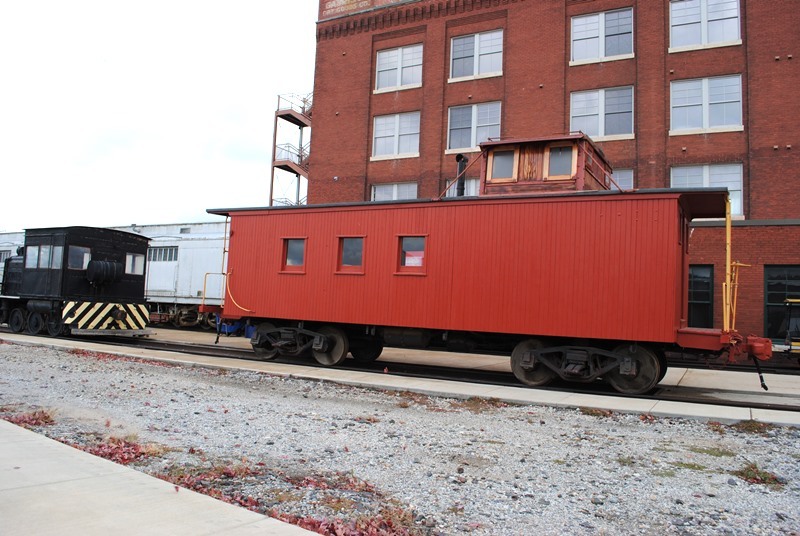 The transportation museum is all about trains including how they came to Kansas, what impact they had in the state, and the railroad culture. 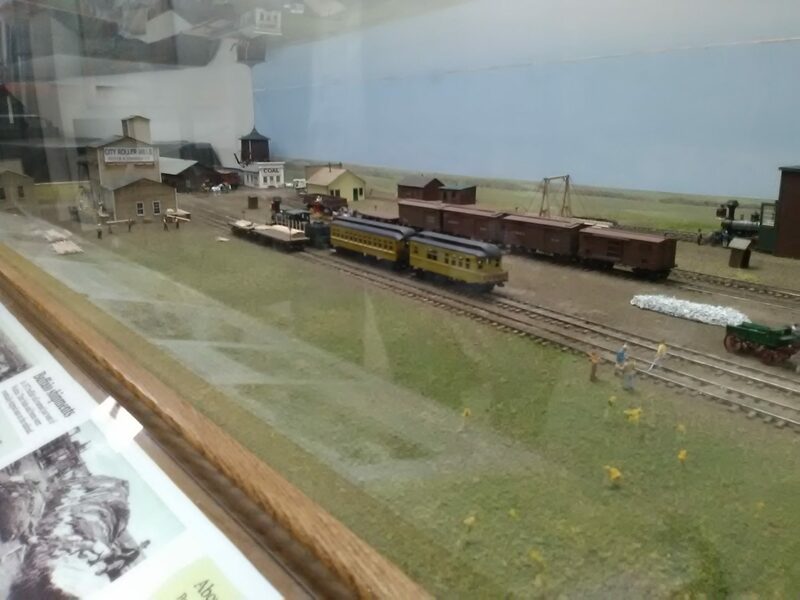 They have artifacts, pictures, and real locomotives (outside of course!). Our tour guide was amazing! You can have birthday parties here, field trips, and other special events. It’s such a cool space for all those things. I took this picture even before going inside. I love the contrast between the old (but restored) and the “new” (but old enough to be out of service). Kids born in the last 20 years or so don’t know what it’s like to wait for the caboose at the end of a train. This was the most expensive part of the train and they finally figured out how to do what they needed to do without it. This is from the 1930s (I think). As I mentioned, they also talk about the impact the trains had on culture and society. this is a Wichita in miniature from the 19th century. 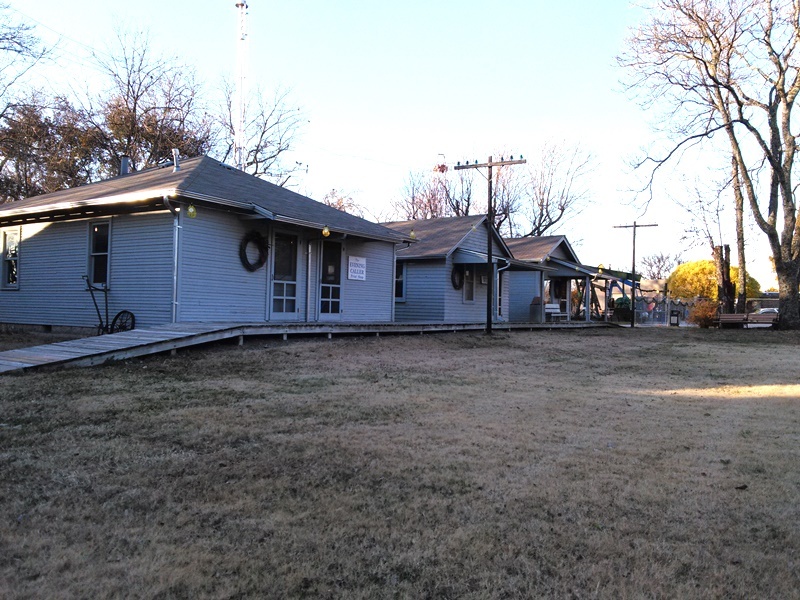 Our next stop on the trip was the Old Cowtown Museum, which is an attraction that shows life in Wichita during the mid to late 1800s. It shows the original settler’s cabin and life-size models of homes, businesses, and other vital buildings during that time. We did the tour on a golf cart and our guide was one of the most knowledgeable and interesting people I’ve met. Most of the buildings are tough for people in wheelchairs to access so they have a book filled with pictures that shows the insides of those buildings. This was a clever way to keep the historical value but still let those of us with mobility issues participate! My dad went through and took many pictures for me as well. I remember going to Cowtown as a kid, especially their Christmas program (going on now). I’ve never been when it was this quiet and it was great! I did miss getting hear from the actors portraying different people but for a guided tour, the tranquility was appreciated. The streets of Wichita from about 1865-1870 (or so). You can see the train station off in the distance. 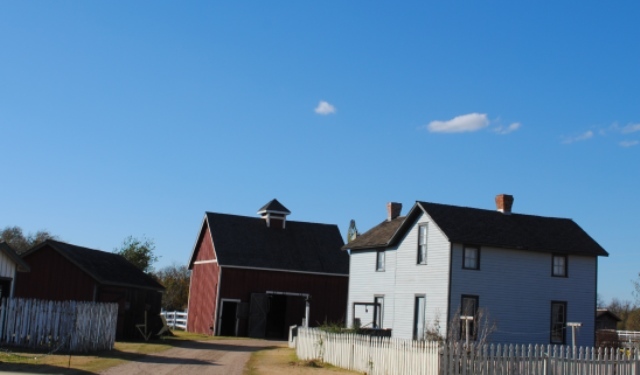 A replica of a real working family farm. Agriculture is a major, MAJOR part of Kansas. Family farms were the ultimate small business. They have live goats, cows, chickens and horses here. The Kansas Aviation Museum is just, so cool. I love planes and I love history so learning how they fit together is fantastic! It shouldn’t surprise me that Wichita has an awesome aviation museum considering it’s called the Air Capital of the World, but it did. 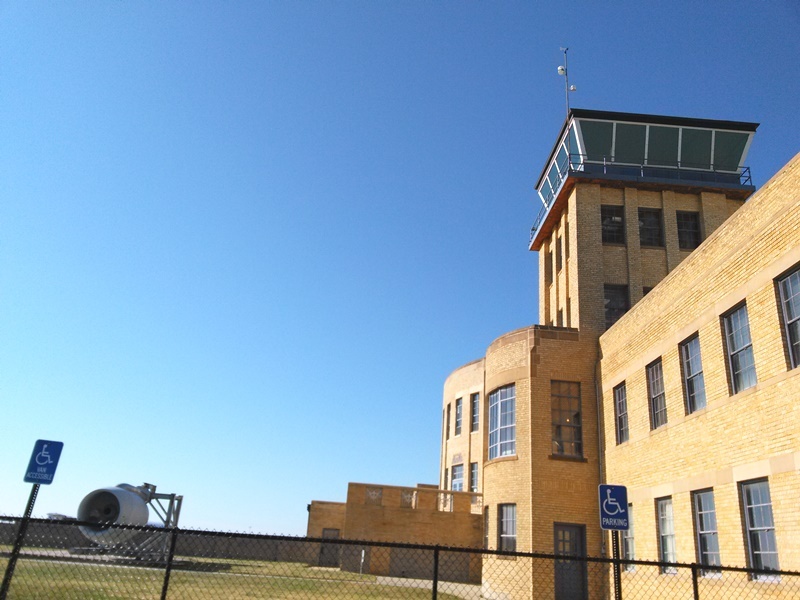 The building itself is next to the McConnell Air Force Base in south Wichita and is an old airport. This is another place where you can plan parties or just an afternoon of fun and learning by yourself. I liked how they offer the chance to schedule a guided tour but they also have a booklet that lets you go on a walking tour by yourself. We only had a couple of hours so we quickly browsed. 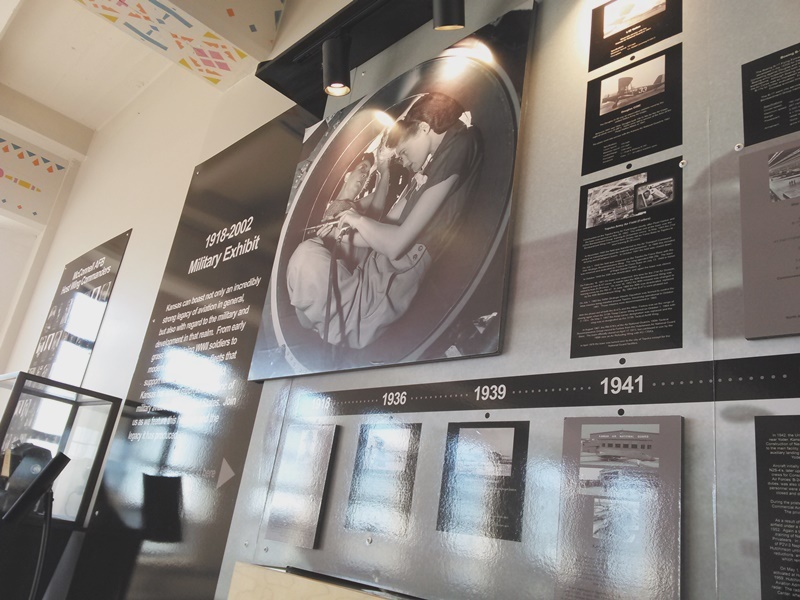 It’s hard to say which part was my favorite because each area made me say “oh wow!” I liked how they showed the impact the aviation history has on Wichita over the last century, the culture of flight (cigarettes used to be encouraged on planes…what?!? ), and getting to see all the old planes. I felt like I got to know the personalities behind the founders of the Wichita aviation industry as well as understand my hometown’s place in history. Like all the other places we visited, the aviation museum was disabled friendly and had lots of activities for all ages. One note: people in wheelchairs won’t be able to climb the stairs to get to the top of the flight tower but the rest of the three stories is easily accessed with no problem. They even have a place where you can make paper airplanes and fly them off the third floor into the atrium. The child in me loved that! This building is one of the only remaining art deco airports in the country. I love the architecture! They have depictions of flight on the other side but I chose this view because I love how majestic the flight tower looks. 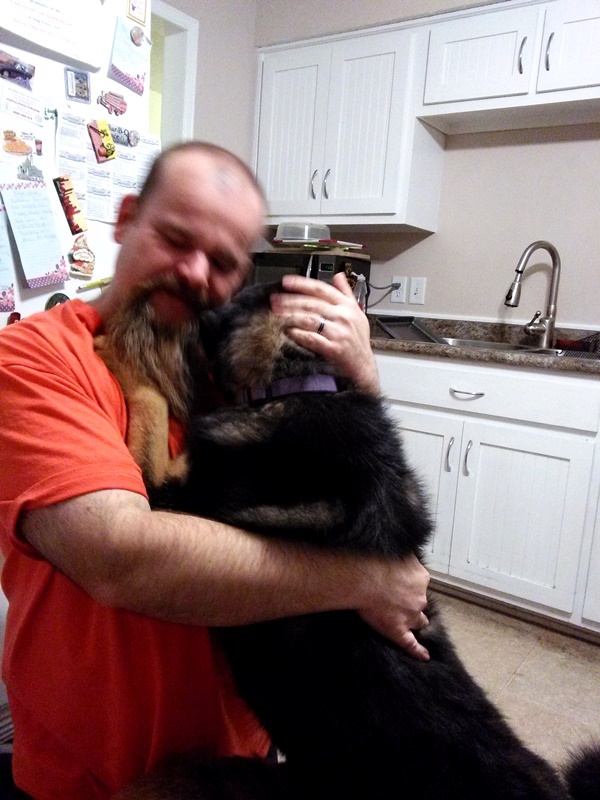 Forgive the fuzzy-that’s the window screen. 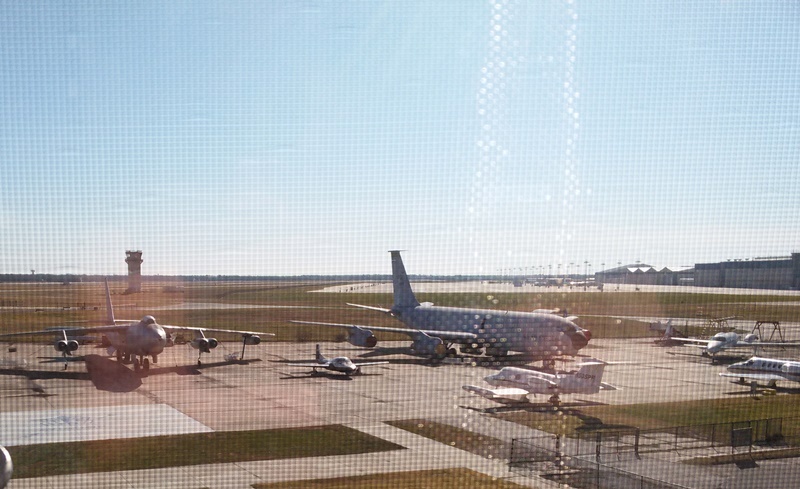 I wanted a bird’s eye view so to speak of the planes they have parked outside so I took this from a third-story window. You can see everything from small single engine planes to a few military planes and even an experimental plane. Each plane has a plaque that explains it, which I found helpful. You’ve heard of Rosie the Riveter right? These women are a real live version of that. They are using their feminine hands to drill plane parts together during World War II. I heard that the original Rosie Riveter who posed for the paintings came to a celebration at the museum recently. Pretty much the whole third floor is dedicated to military and the aviation industry. The Warren Theaters are beautiful theaters. I grew up going to the Palace Theaters (owned by the same company). This is Warren West. This wasn’t an “official” (read: sponsored) stop on our trip, but I had to include it! It’s a family tradition for us to go to a family-friendly movie on the Friday after Thanksgiving. My brother, sister-in-law and their two five-year-olds, and four-year-old came for Thanksgiving so we went to the latest animated movie from Disney Moana. It was delightful! 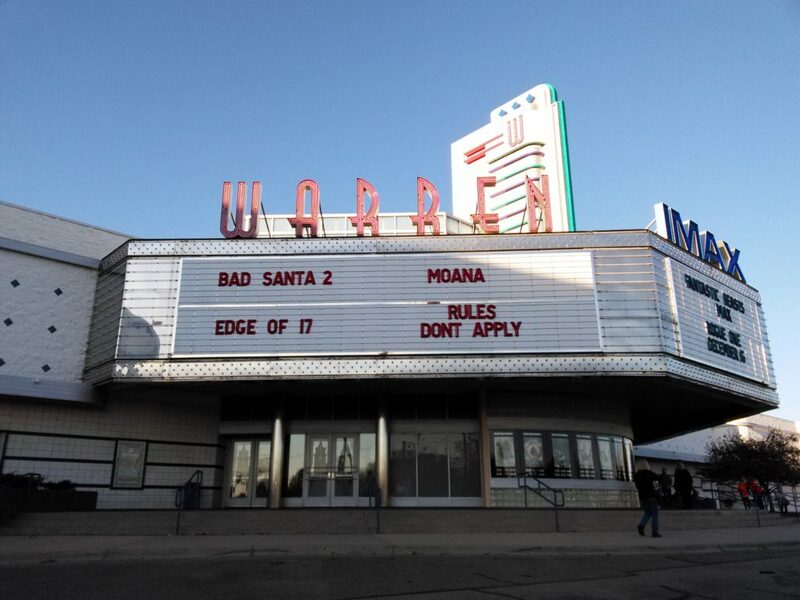 The Warren Theaters are pretty much the only movie theater chain in town but that doesn’t stop the founder, Bill Warren, from making sure his theaters are top notch. Even though he doesn’t have any competition, he always makes sure his theaters have the latest technology, are incredibly comfortable, and have a great movie assortment. Check out Warren Theaters online (the one Warren East, Warren West, and Warren OldTown are all Wichita. They also have a cheaper movie theater with older movies and it’s called the Palace). In regards to disability issues, the Warren Theaters are always on the ball with that. My only possible issue is that in our specific theater, the wheelchair seats were in about the third row and that might be a bit close to the screen for some. Botanica is gorgeous pretty much any time of year but during winter in Kansas, it’s a different kind of beauty. The Illuminations exhibit is the largest light display in Kansas with more than a million lights. Illuminations is held seven days a week, 5:30 to 8:30 p.m. from Nov. 25 through Dec. 31 (excluding Dec. 24 and 25). It’s outside, so make sure to bundle up! I’d also recommend maybe not going on opening night next year because it was crazy busy. That just tells you how great this is! The lights and accompanying music were magical. 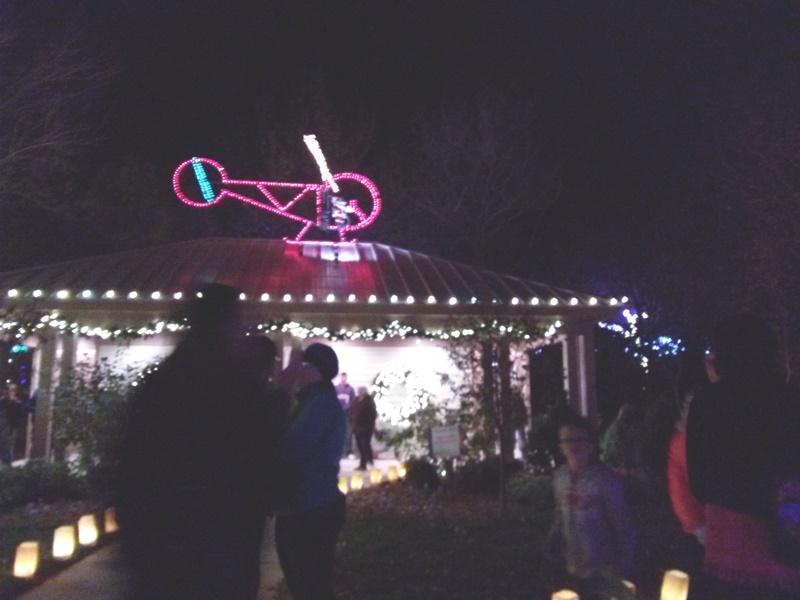 There were traditional Christmas displays as well as “flowers” and “bugs” that were made from lights. They also have a miniature village in the Foshee Party Barn. 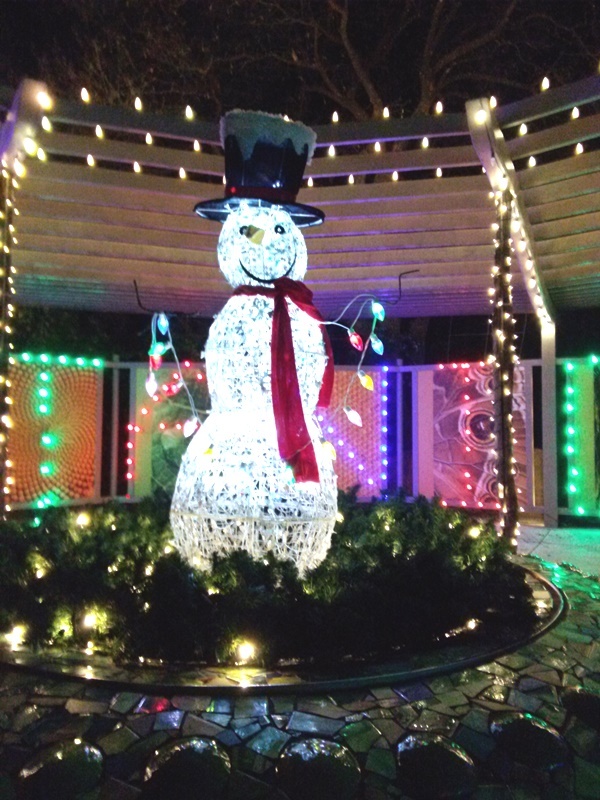 If you’re the type to enjoy Christmas lights, you must go to this event! I thought it was accessible for people with disabilities but the sidewalks are a bit narrow (another reason to try and go on a less busy night). 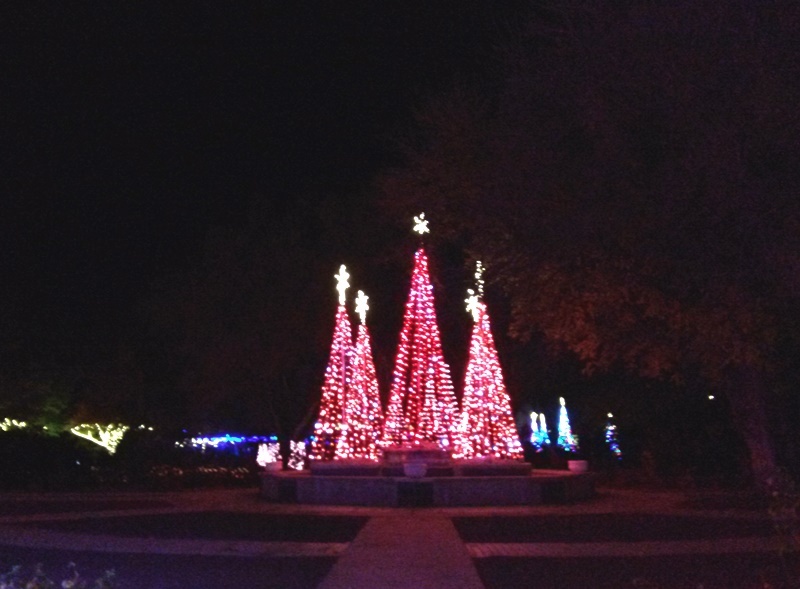 I also encourage you to check out Botanica at other times of the year. I went there as a teenager and it’s a fantastic place to host parties and other events. I have such fond memories of the tulips in April for some reason! They were breathtaking. Some of the displays are traditional like the three Christmas trees that change color to the music. They had different versions of this throughout the park and they were my favorite for their simplicity. You’ll also find a bit of whimsy at Illuminations. It’s hard to tell in this picture (it was dark! ), but this is a helicopter being flown on the roof by a Mickey Mouse Santa. I want this for my yard! I love snowmen and this was a perfect place for it in the children’s garden. This makes me so happy. The Kansas Oil Museum is another place my husband chose and it really surprised me! One quick note: this is actually in El Dorado, which is a city about 30 minutes from Wichita. We had a mostly guided tour from their historian and she was delightful! They have a good research library there if you need that resource. This used to be the Butler County Historical Museum but they changed the name to reflect the industry that really made that region a success: the oil industry. They had so much information about the region, how oil was discovered, what impact it had on the culture, and of course, information about how oil is extracted. This is a great place for kids and adults alike. Many of the exhibits are simple enough to capture quickly but they also offer great information that goes in-depth. I found the synergistic relationship between El Dorado’s oil industry and Wichita’s aviation industry to be fascinating. 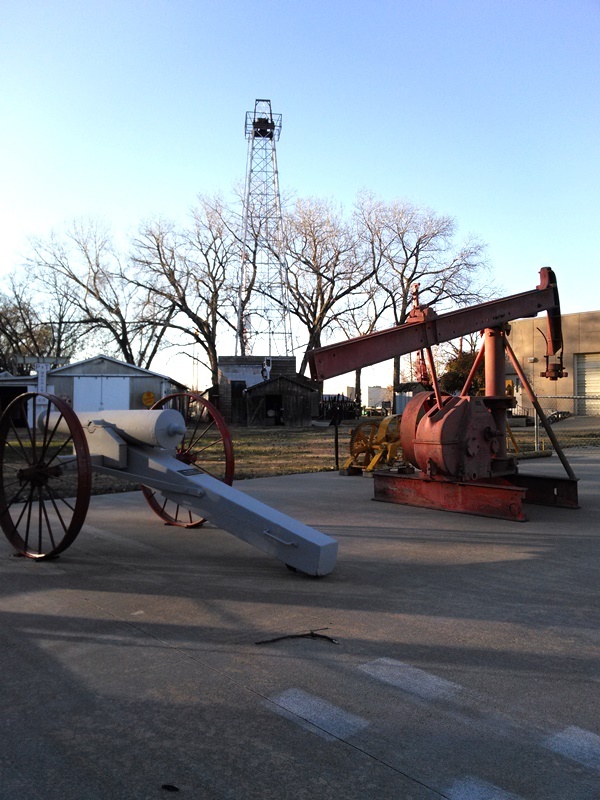 I also really enjoyed learning about how the area thrived because of oil. And of course, there were all the machines and the mini-village outside! Three machines in one photo that represents different stages of the oil industry. 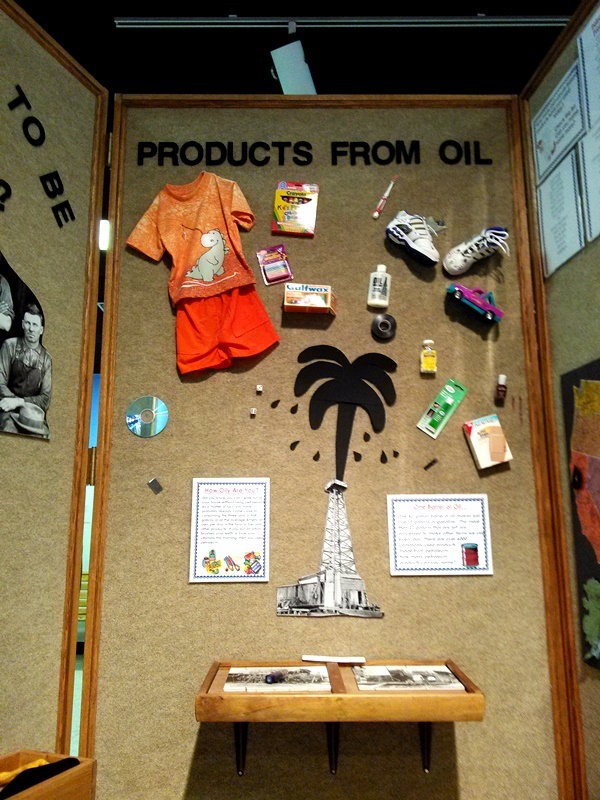 Did you know that all these products are available because of the oil industry? It’s not just gasoline, folks. You may notice a trend in all these places that I really enjoy learning about the people involved with all these different places. I love how industry and business affect the average person. 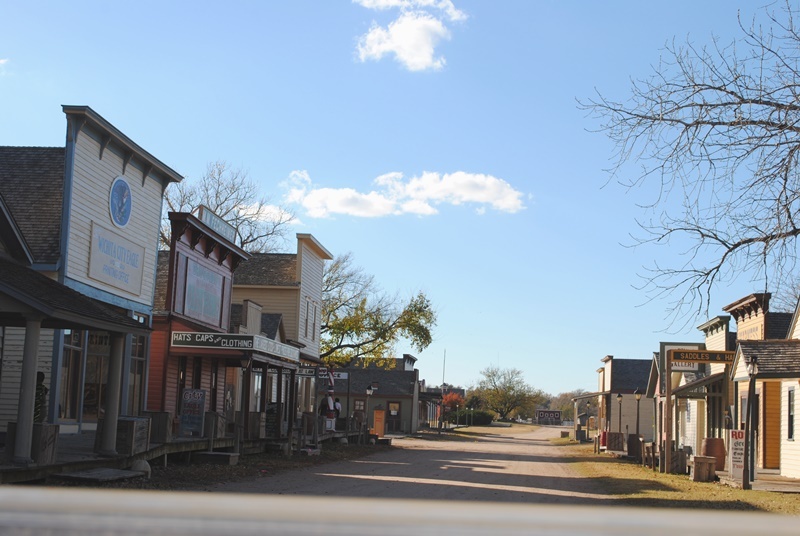 This is a simulated oil town that had a school, houses shops, and more. Whew! That was a lot of attractions. Let’s talk now about food. Of course we had a lovely Thanksgiving dinner at my parents’ house but the rest of the time we went to a lot of different restaurants! I didn’t realize it until I started sorting my pictures, but I ordered almost all pizza and sandwiches the entire trip! We did enjoy an “Asian day” on our rest day where we went to the Korean place next to our hotel then had Chinese delivered to our hotel that night. Angelos Italian Foods: OK, so we picked it up for dinner but same thing. The night before I was born, my mom thought she was going into labor so she didn’t eat. They told her it was false labor so she went to Angelo’s and chowed down! Then a few hours later she went into real labor and I was born. I have many memories of going to Angelo’s to celebrate my birthday. I’m so glad they decided to reopen recently as a carryout place. The lasagna is amazing and I liked the manicotti, too! Tanya’s Soup Kitchen: This is a locally sourced, all hand-made soup/salad/sandwich place that has a rich history. I’d never been there before but I plan to go back. Their big thing is their chicken salad but you need to go early if you want to get it before it runs out! John and I shared the Delilah sandwich and the Flight of Soups (a small ramekin of each kind of soup for the day). I highly recommend getting the flight for your first visit there. Everything was fresh and the service was great! Fizz Burger and Bottles: this place has great burgers and beer! Each one of us got a different kind and I was exposed to a new kind of cheese with mine. I’m now on a mission to find Boursin cheese in our grocery stores. Their fries are also amazing! What we did, based on the owner’s recommendation, is order a large order of fries that was half sweet potato and half regular fries. They then brought us a sampling of each of their dipping sauces. We shared it as a table instead of each getting their own fries on the side. That was the way to go for sure! Wichita Brewing Company: we went here with Jessica for lunch and it was amazing! They have a good beer selection and the food is delicious. I love their lunch special that is a personal size pizza with a side. I got a BBQ Chicken pizza and there was a huge variety of other styles. I also loved their sweet stuffed peppers and their pepperoni rolls (not usually my favorite but these were delicious!). Hot Stone Korean BBQ:This place is in the same area as our hotel and we keep saying “we need to go there” so this time, we did! I have to take a medication once a week that requires me to rest so we went there on my “rest day.” It was delicious and exposed us to some new ideas about some of our favorite foods! We both ordered different variations of bibimbap (Korean rice bowl). What we discovered is, the traditional spicy sauce mixed with sesame dressing is really tasty! We will definitely be back on future visits. China Go! : We were really in the mood for more Asian food on our rest day and we really didn’t want to leave the hotel. China Go! to the rescue! The food and service was fast and good. Ironically, I usually love sweet and sour chicken but hated theirs. John hates sweet and sour chicken and loves theirs. But their lo mein and their other chicken dishes were delicious! Oh, a quick note about their rangoon. They offer sweet and regular or crab rangoon. The sweet is actually pretty sweet. Almost like cheese cake inside but not that sweet or rich. I recommend ordering regular rangoon with your meal then getting a small order of the sweet rangoon for people to share as a dessert. Bricktown Brewery: Yes, another brew pub that has great burgers and pizza, too. I got the Trucker Burger, which was delicious but a bit rich for me. Their blend of bacon and beef was spot on! Just rich for me. My husband loved it. Next time, I will get a regular burger. They have a great beer assortment (flights are a good idea if there’s several of you there). This is one of the few places we went to that is technically a chain. They started in OKC and are now in Wichita, Tulsa, and even Fort Smith, Ark. Stearman’s Bar and Grill: This place is a lot of fun! Large plane parts are used throughout as decor and the food is pretty good, too! By this time (Saturday), we were tired of burgers and sandwiches. I got chicken bacon macaroni and cheese and my mom got a reuben. I forget what my dad got and John shared half of mine and half of mom’s meal. The cool thing about this place is, it’s at a tiny airport in the tiny town of Benton, Kansas. You can watch planes land all day long! Cafe Maurice: This is the only restaurant that we went to on the break that was a repeat for all of us. Cafe Maurice has amazing Mediterranean food! I recommend getting the sampler appetizer to share or for yourself as a meal. Or, their gyros are pretty great too! They bring a tiny piece of free tiramisu for dessert and it’s wonderful (the only place I really like their tiramisu). This was our hotel. 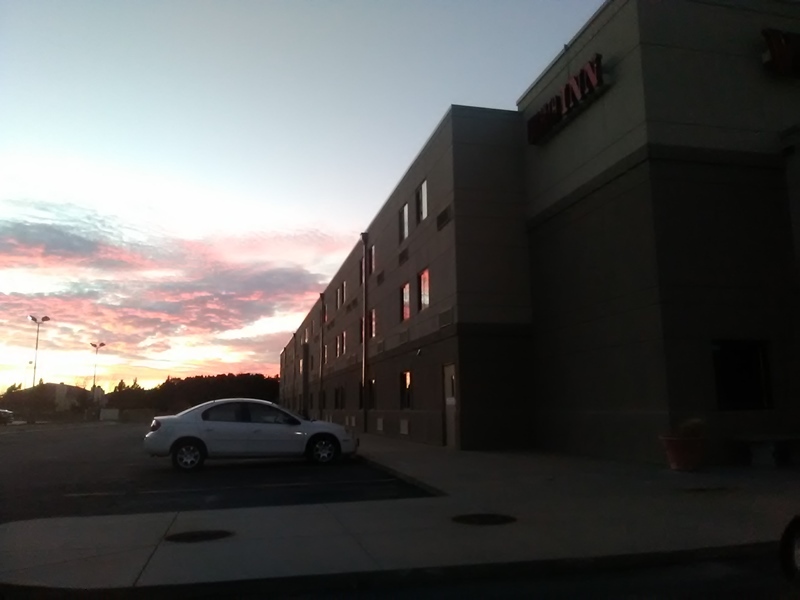 We always stay at Wichita Inn North. It’s affordable, comfortable, and clean. 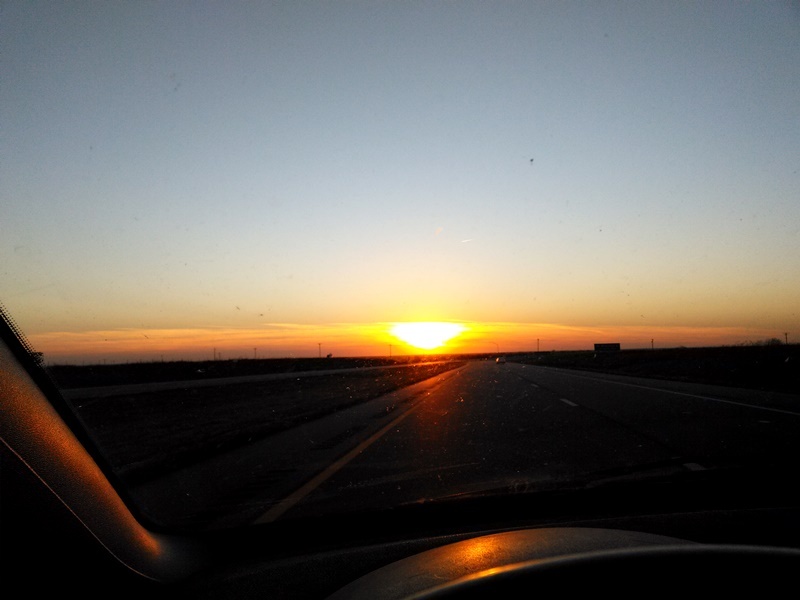 Kansas has the best sunsets! This is from our last full day in town. We usually try to get to this store but missed it this time. They have fun dog toys and are located in the same shopping area as Cafe Maurice. 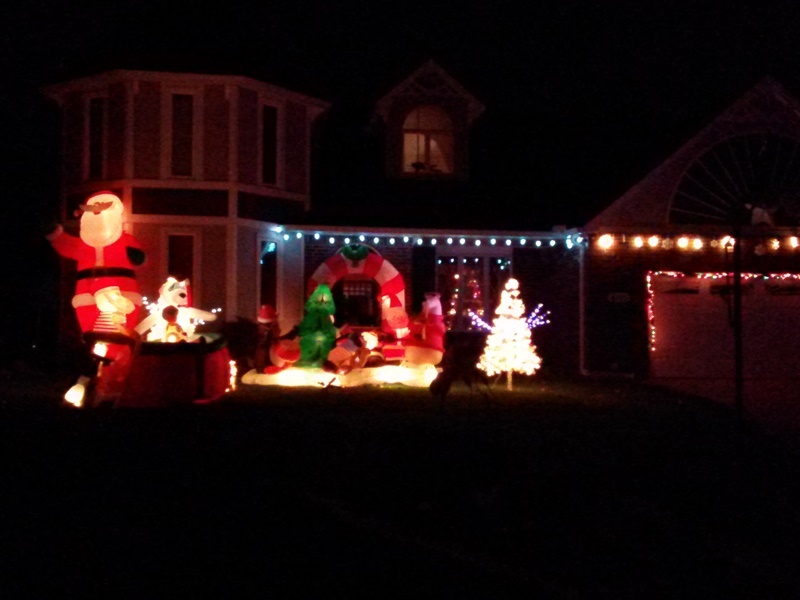 My parents’ neighbors always have a great light display for Christmas! 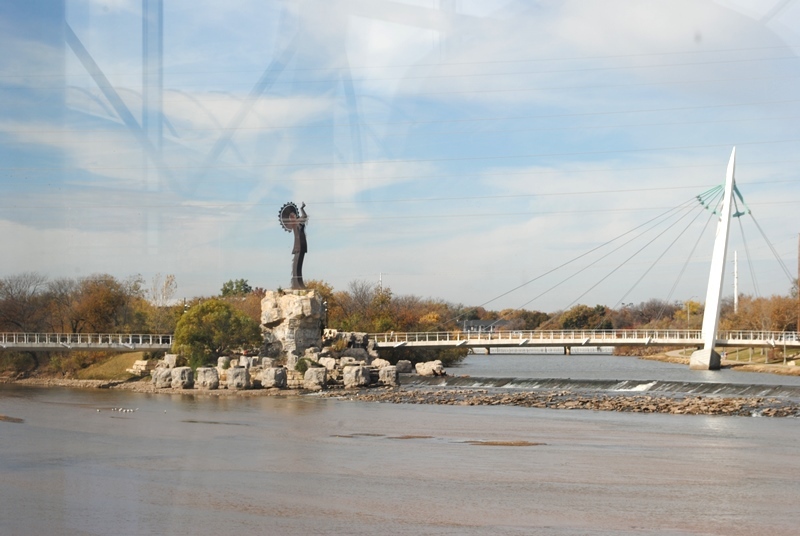 A view of the Keeper of the Plains taken from Exploration Place across the Arkansas River (pronounced Our Kansas when you’re in Kansas…just sayin’!). Our comfy bed for the week. I wanted to bring our bed back with me. 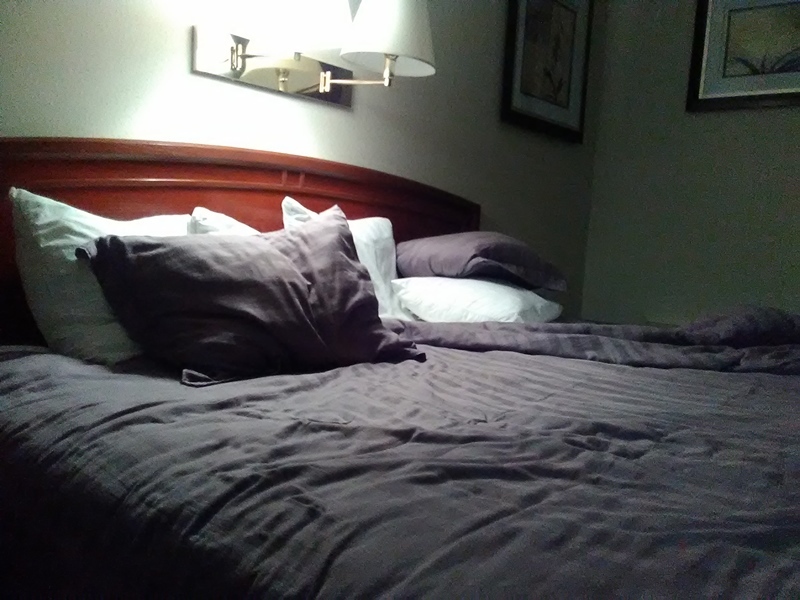 We rumpled the bed, it didn’t come that way. So. much. luggage! 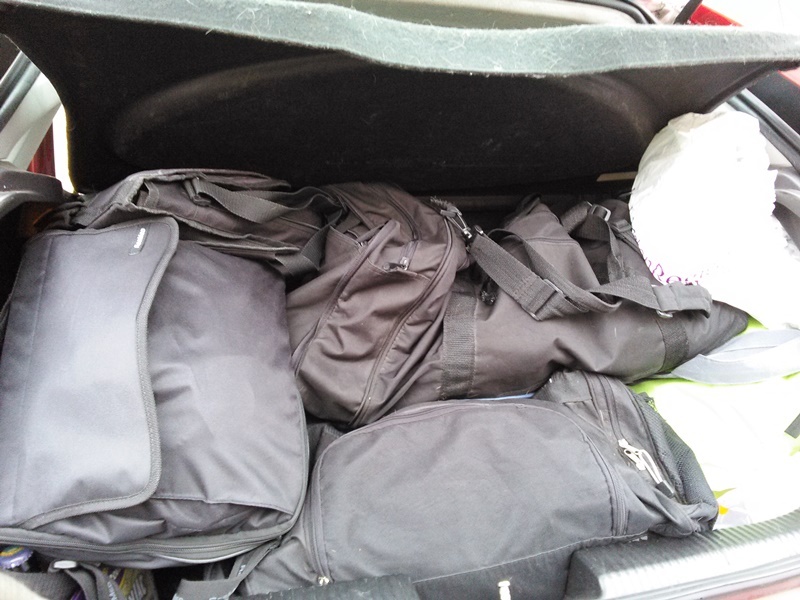 And this is us packing light. So ready to be home! Our week in Wichita was beyond fabulous but we were ready to be home in Arkansas. I love this post! I need to get to all of these places–I think I might go to Illuminations at Botanica next week, but other than that, the only place I’ve been on your list of attractions is the zoo, and I haven’t even been there since they opened the new elephant exhibit. I’ve been meaning to go! 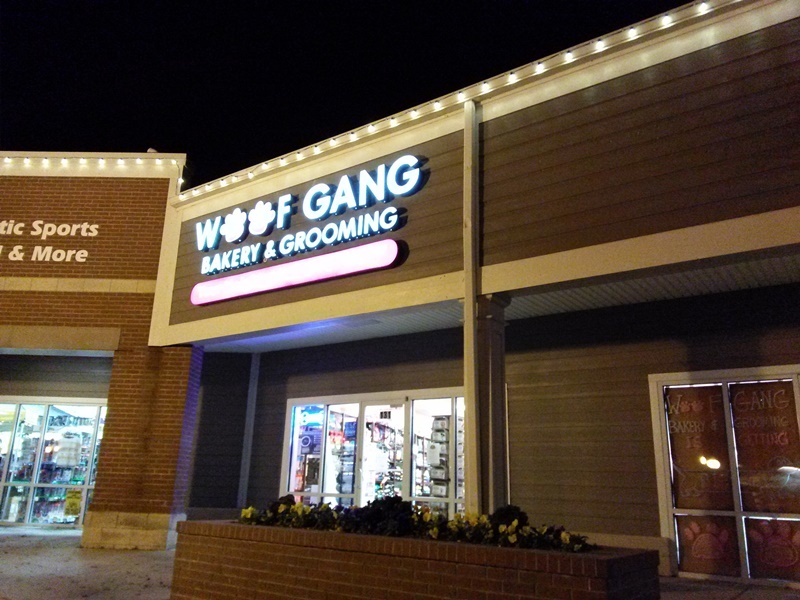 I didn’t know about that Woof Gang store either… looks like I’ll be making a trip there! I love Tanya’s Soup Kitchen and I’m glad you ate there! What a fantastic vacation back home! Looks like I need to visit-I do have two friends who live there now.